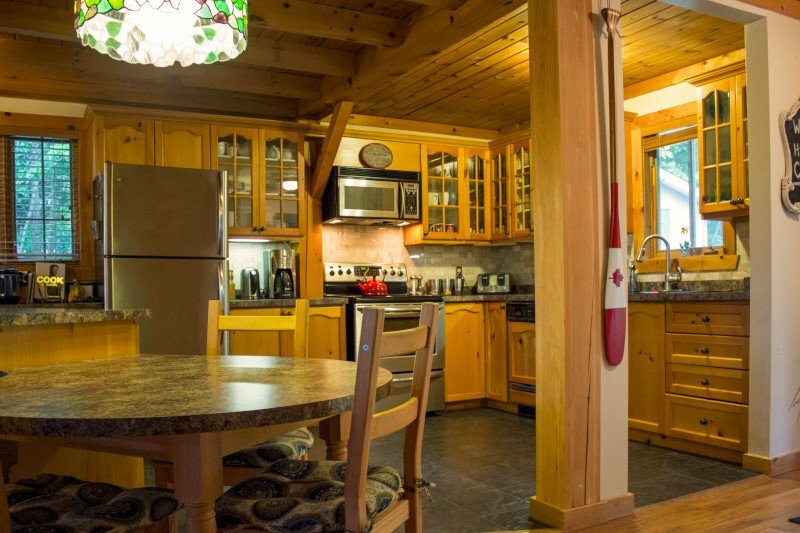 If executive style with all the amenities of your own home is what you are looking for, then this property has all that plus more. 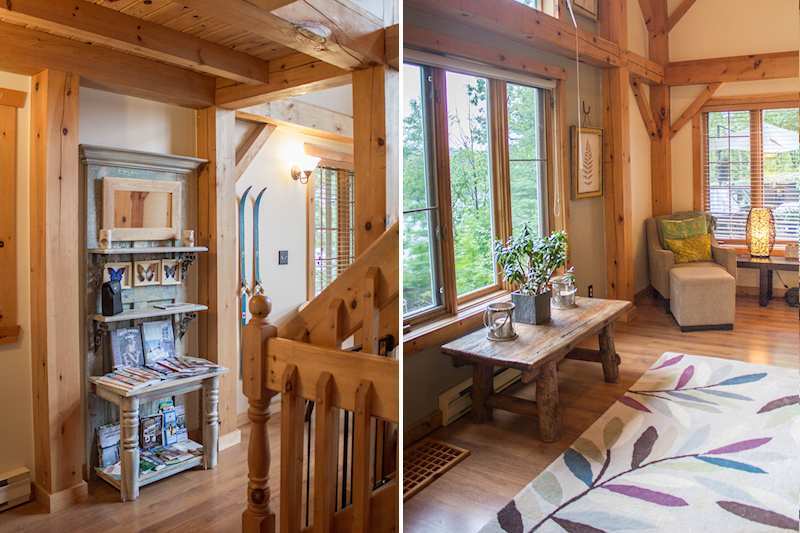 Taking the office with you to the cottage is a breeze since the high speed Wi-Fi internet stretches right to the dock so those web meetings will go by smoothly with a beer in hand and fishing rod in the water. 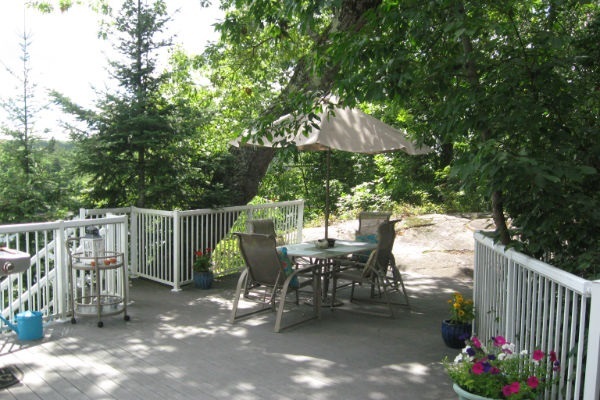 The easy drive from the city finishes with a few kilometers down a leafy cottage lane and on arrival you’ll notice how quiet and private this property this . 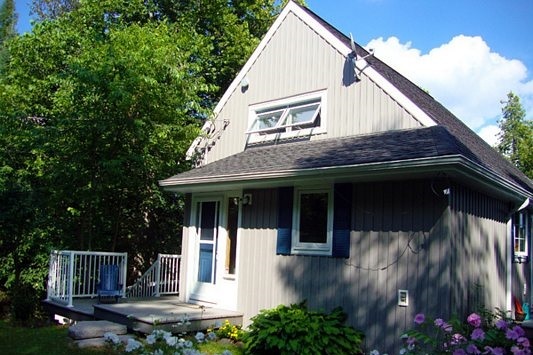 The cottage is situated on a fabulous lot overlooking Lake Kashagawigamog in the Haliburton Highlands. The name may be a mouthful but you will not forget it after a vacation here as you will want to come back time and time again! 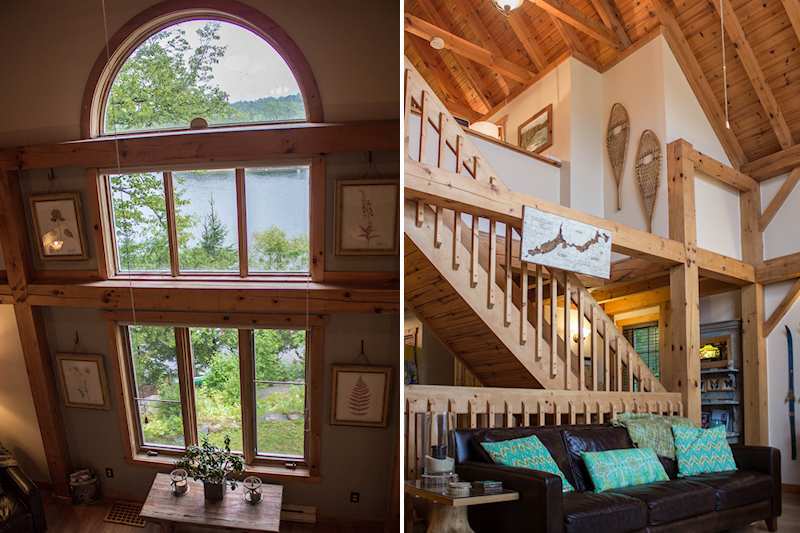 With spectacular views down the lake, clean swimmable waterfront and a top quality cottage, this really is the full package. 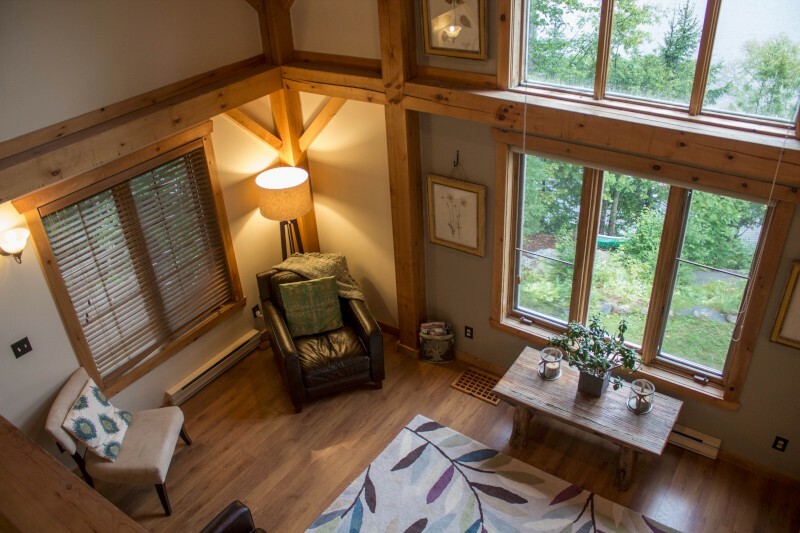 Beautifully designed with exposed wood beam construction, the interior of the property is hard to beat. 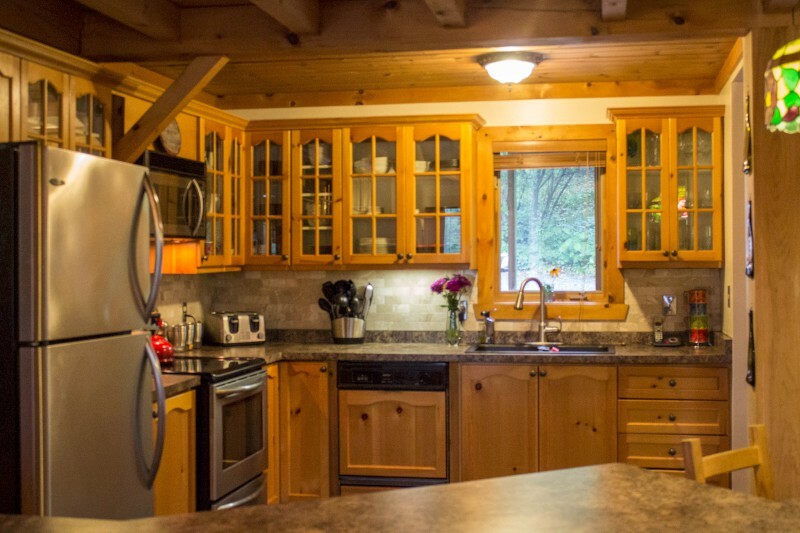 The large open plan kitchen has a breakfast bar which is ideal for socializing, while preparing meals and drinks is easy in the attractive kitchen boasting high quality stainless steel appliances. 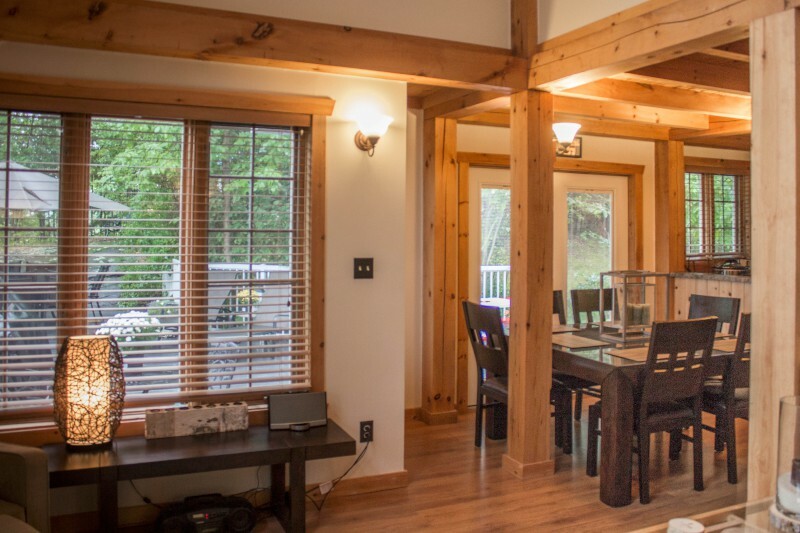 The dining area will comfortably accommodate your group as you take in the beauty of the Haliburton Highlands through the many windows looking out upon the rest of the lot. 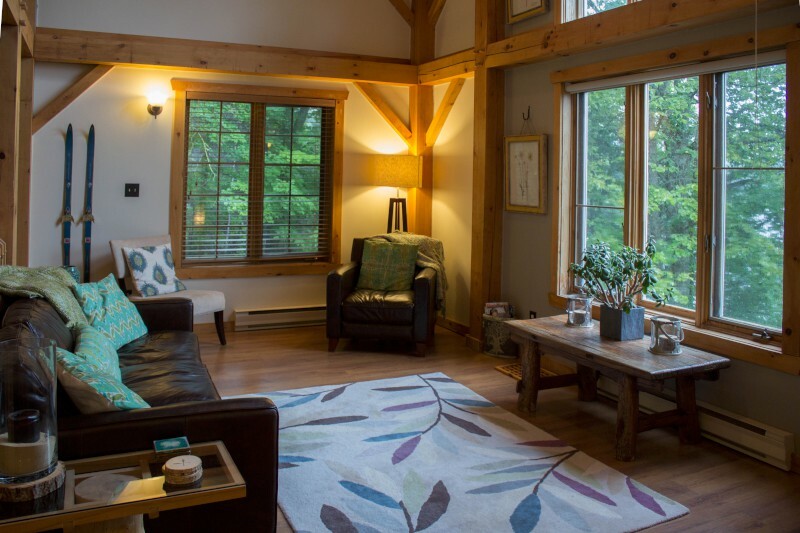 The living room has leather furniture and provides a comfortable area for relaxing with morning coffee or an aperitif. 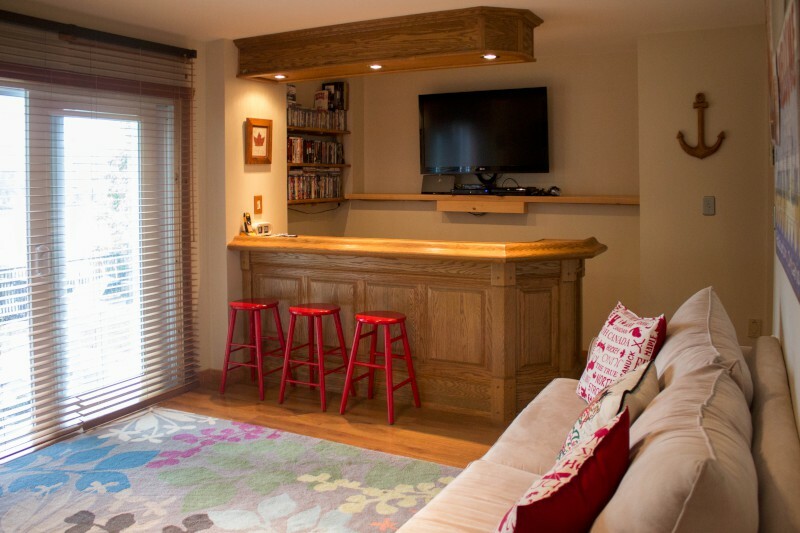 For entertainment, the family room on the lower floor has TV, video and a Wii games system. 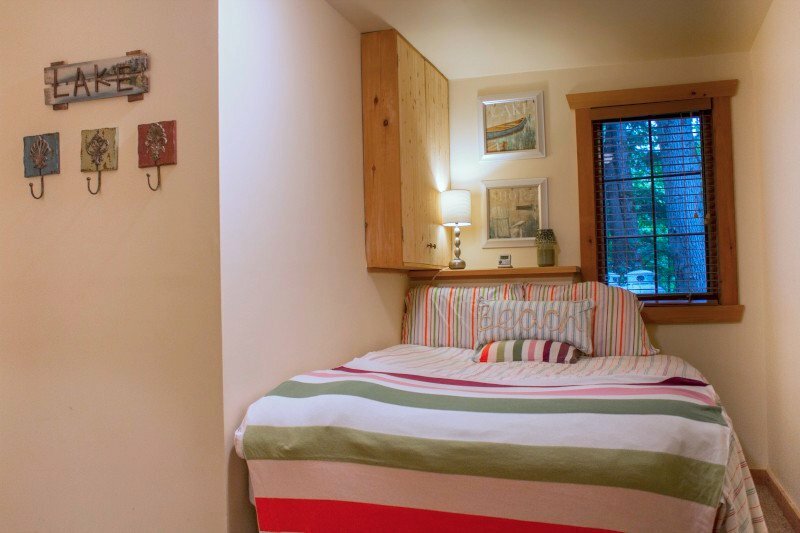 Two bedrooms are on this floor, together with a bathroom and laundry room. 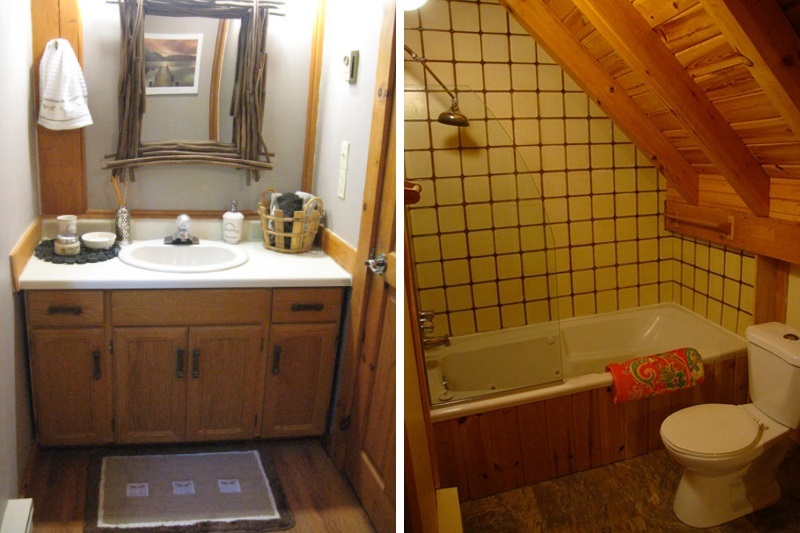 The master bedroom is in the loft and has an ensuite bathroom. 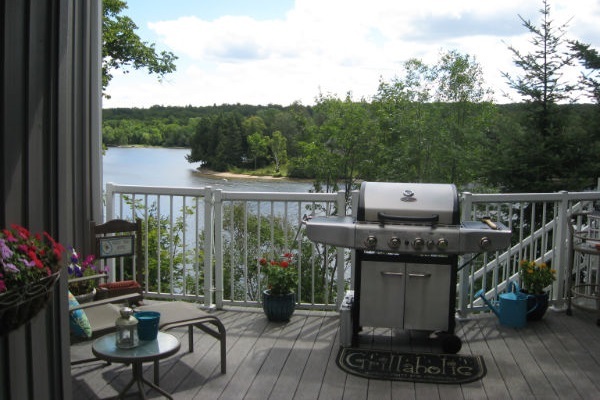 When you venture out of this amazing property you will experience one of the best parts of cottage vacations, and that’s deck life. 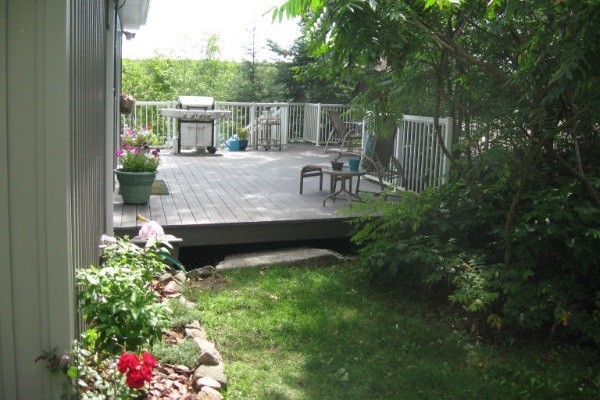 The large deck has an outdoor dining area, sitting area and BBQ with plenty of reclining chairs for sunbathing and relaxing. For one of the best views in the house, take an early morning coffee to the overlook bench and enjoy the sun rising from the highest spot on the property. 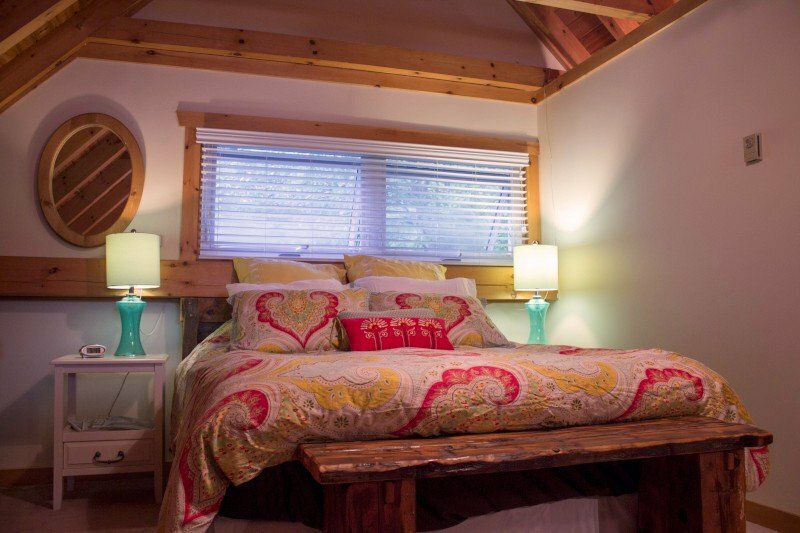 A short walk down the woodland path to the lake will take you by the mid level deck where a fire bowl is located for those campfire moments, smores and hot dogs. 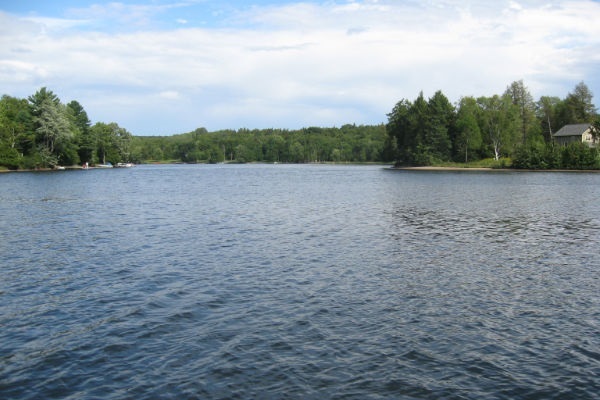 Once at the lake front there is a great deck for docking up your boat in clear deep waters with a small spot at the shore for a shallow sandy entry into the water. After a busy day playing in the water or just soaking up the sun its time to either retreat to the fire bowl and enjoy smores while watching the fireflies or maybe if you would rather be indoors a game on the Nintendo Wii or a movie in the Bar might be a perfect way to round off the day. 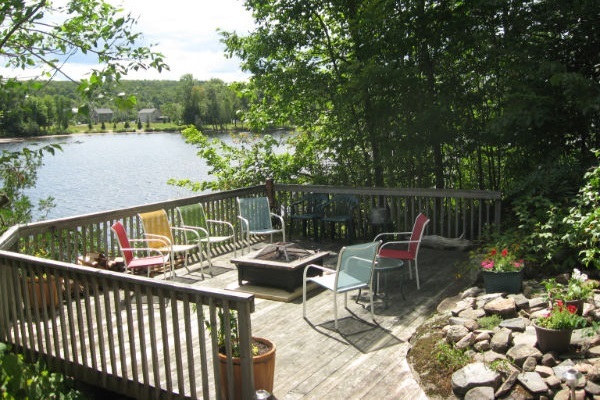 The area around the lake is a delight to explore. 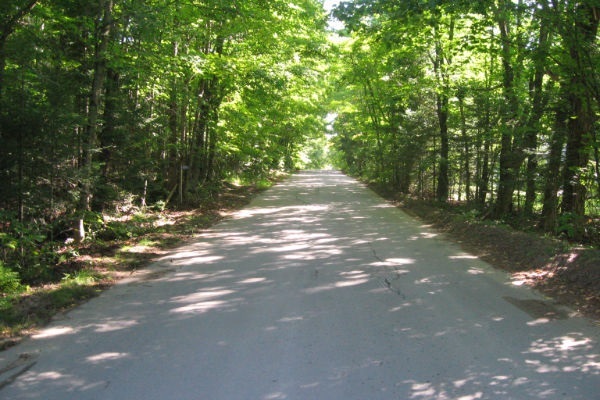 Winding cottage roads lead to small villages with little stores selling great ice cream and butter tarts; some super golf courses, and the small towns of Haliburton and Minden that come alive in summer with open air concerts, arts displays and farmers markets. 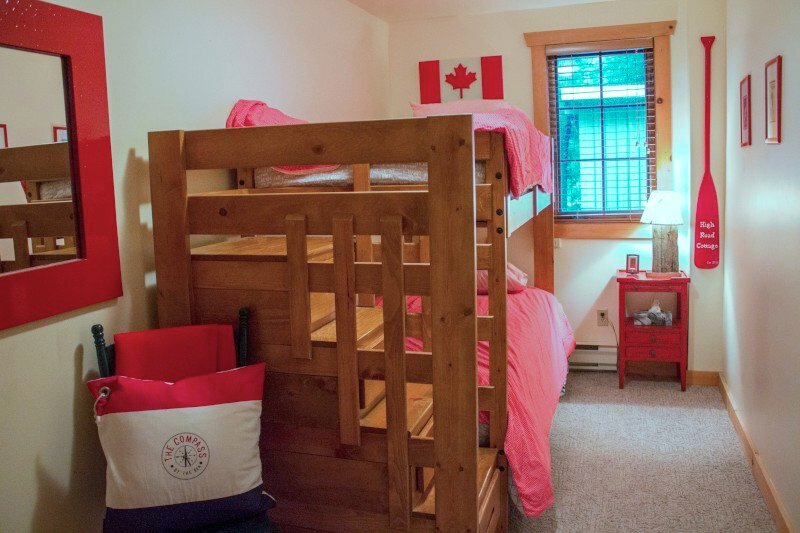 Stop by the Haliburton Tourism Office on Highway 35 in Minden and you'll find so many things to do, you'll just have to book another trip! 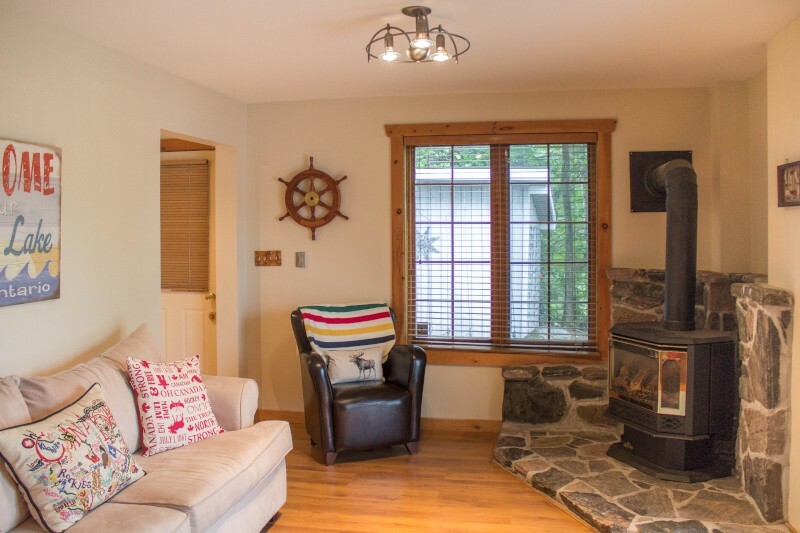 The property truly captures the spirit of a perfect cottage vacation and we are sure you will have lasting memories that you will recall for years to come. 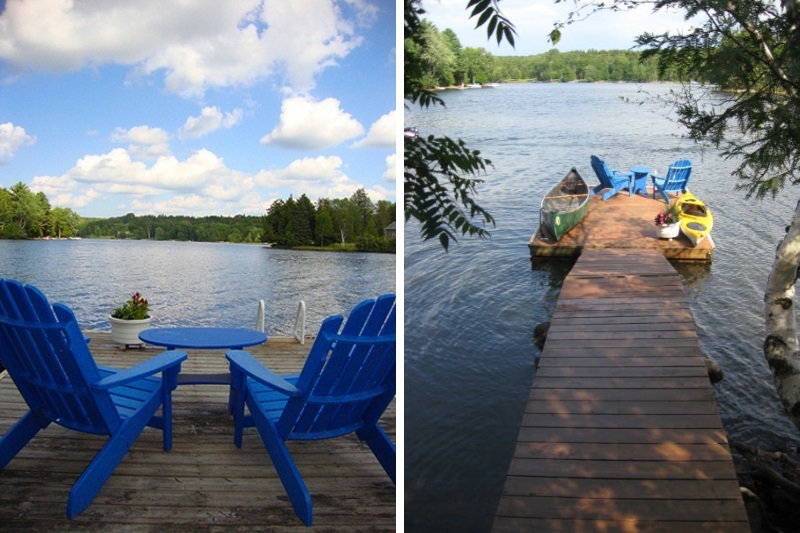 Cottage has a small area of shallow water with sandy bottom that deepens quickly. The water is deep off the end of the dock for diving and jumping. East exposure - the waterfront becomes shady in the late afternoon. 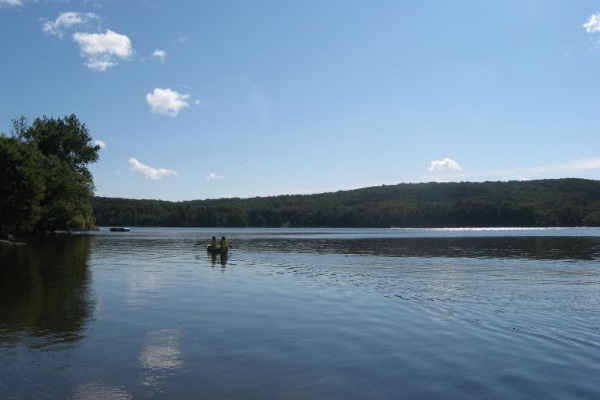 Lake Kashagawigamog gets its name from the Native word for "long and winding waters". 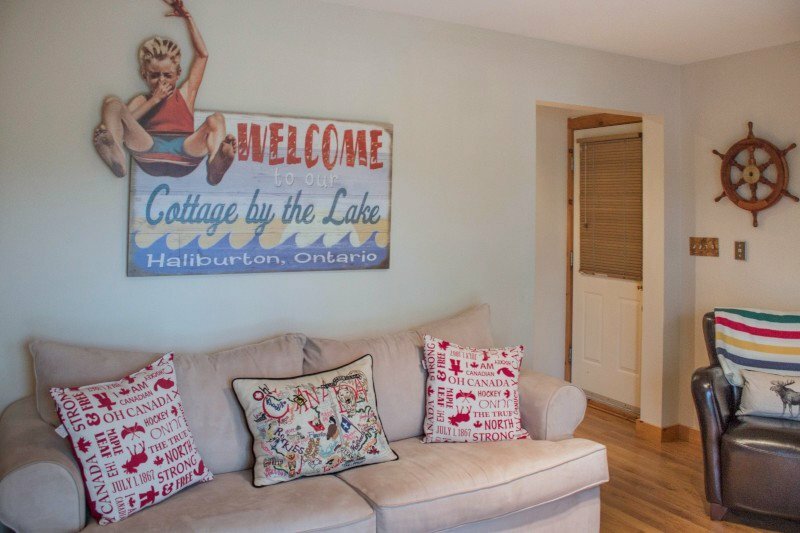 Sixteen Kms long and about one Km wide, the lake is part of a 5-lake chain including Head Lake on which the town of Haliburton is situated and allows boat access to the public docks in town about 3 Kms away. Fish include bass, muskie, and walleye.